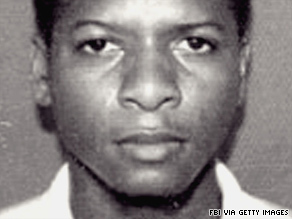 NEW YORK (CNN) -- The Tanzanian national indicted in the 1998 terrorist bombings of the American embassies in Kenya and Tanzania will not face the possibility of the death penalty, according to a letter issued by U.S. Attorney General Eric Holder on Monday. Ahmed Khalfan Ghailani is accused of conspiring with Osama bin Laden to kill Americans. Holder's letter directed U.S. Attorney Preet Bharara not to seek the death penalty against Ahmed Khalfan Ghailani. CNN obtained the letter from the office of the U.S. attorney for the Southern District of New York. Bharara sent his own letter to federal Judge Lewis Kaplan, relaying the directive. Ghailani is awaiting trial in federal court in New York, with the case scheduled for September 2010. A spokesperson for the New York U.S. attorney's office had no comment on Holder's decision. The nearly simultaneous bombings of the U.S. embassies in Nairobi, Kenya, and Dar es Salaam, Tanzania, in 1998 killed 224 people, including 12 Americans. "Ahmed Ghailani is on trial for the murder of 224 people, and we are committed to bringing him to justice for his alleged crimes," said Matt Miller, a spokesman for the U.S. Department of Justice, in a written statement. "Other defendants in the embassy bombings case have already either received life sentences or will not be subject to the death penalty because the United States agreed not to seek it as a condition of their extradition. "Given those circumstances and other factors in this case, the attorney general authorized the U.S. Attorney to seek a life sentence." Ghailani was indicted on a total of 286 charges, including allegedly conspiring with Osama bin Laden and other al Qaeda members to kill Americans anywhere in the world. He also faces 224 separate counts of murder, one for each person killed in the embassy attacks. Ghailani was listed on the FBI Most Wanted Terrorists list from the time it was created in 2001 until he was captured in Pakistan in 2004. Two years later he was taken to the Guantanamo Bay detention facilities in Cuba, where he remained until the Obama administration transferred him on June 9 to the New York federal court to stand trial for his alleged role in the embassy bombings. He also faces charges for other terrorism-related activities.